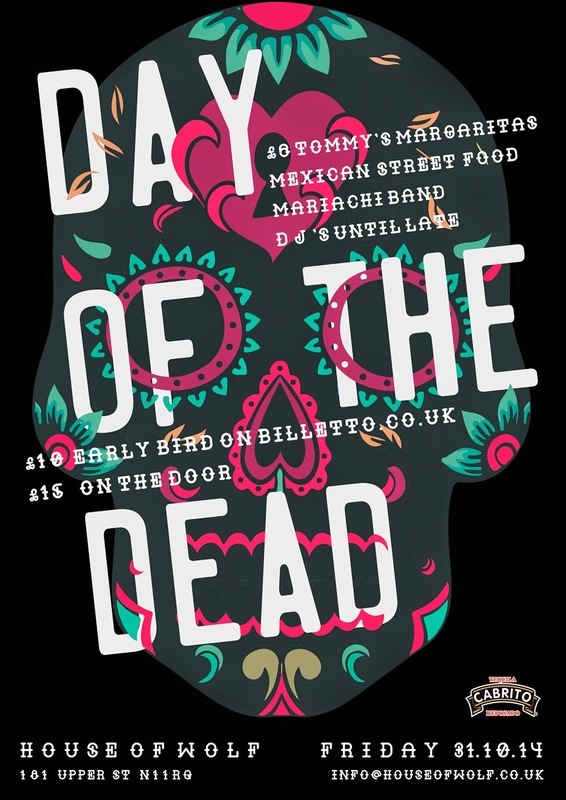 Celebrate Halloween this year at House of Wolf as they hold their special Day of The Dead party in Islington. It'll be a full on Mexican night, with tequila, margaritas, a Mariachi band, and everything you need for a Dios del a Muerte... Start getting your fancy dress ready! "Every year Halloween trumps the reindeer jumpers of Christmas and the midnight kisses of New Year’s to rein as our favourite party of the season. October 31st House of Wolf will be celebrating this haunted holiday with a Day of the Dead themed night of music, margaritas and Mexican shenanigans. The night will begin with a genuine Mariachi band serenading us with the sounds of Dios del a Muerte, with House DJs to follow us into the night and early morning. Grab your ticket and come dressed as your best Sugar Skull self."